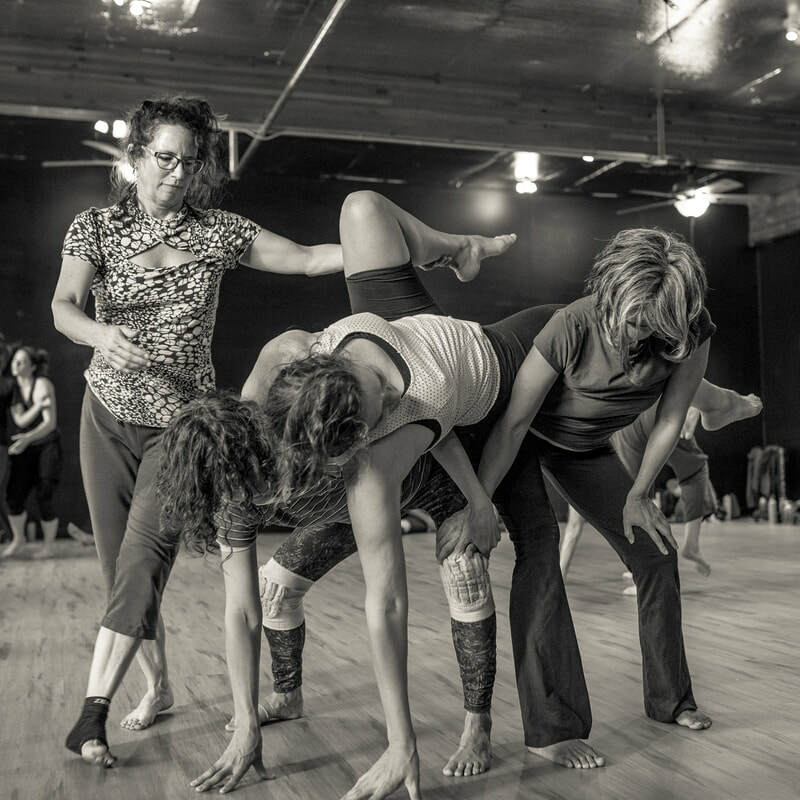 Xcape Dance Academy 1645 Oak St.
taught by a Collective member or a guest teacher. 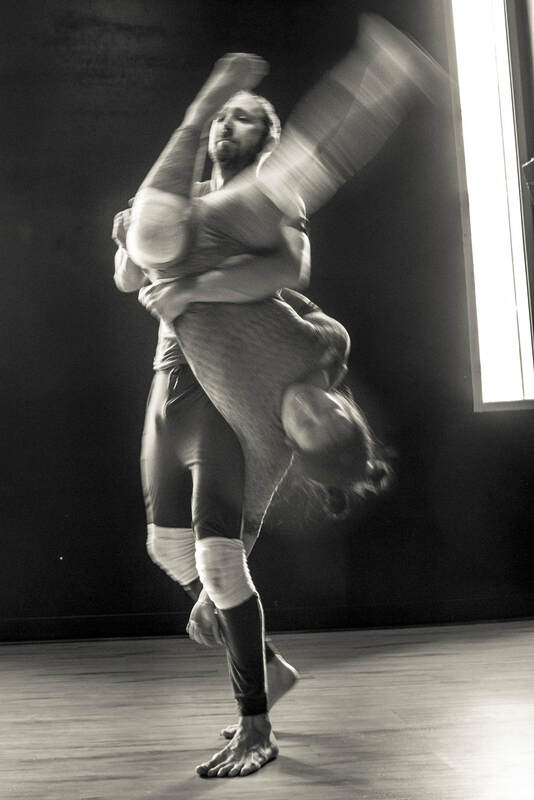 Open contact improv jam from 7:00 - 8:00. OTHER FRIDAYS, the OPEN JAM STARTS RIGHT AWAY at 6:00. Basic instruction is offered in another part of the room. 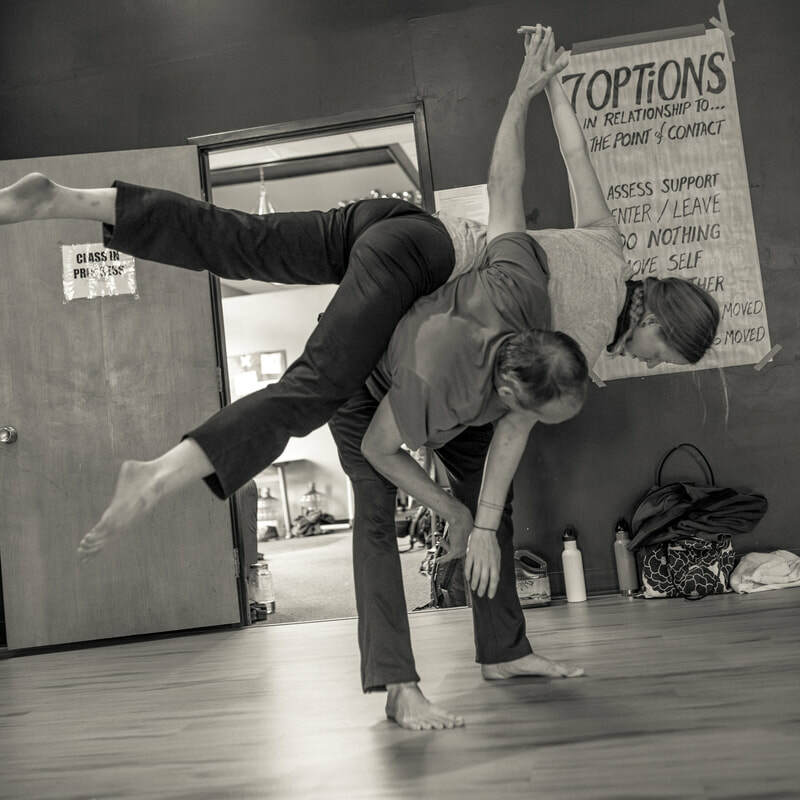 TAKING CARE OF YOURSELF is a KEY element in contact improvisation dancing. Know your own limitations and move at your own pace. Check in with your physical and social well-being often. Keep in mind the importance of warming up before you go farther than you have ever gone before. Push your physical limitations and social comfort zones slowly and gently. Be aware of one another and honor the responses of other dancers. Be in control of and responsible for your own body.